After the emotionally draining exam of Day Six, I'm prepared to admit that I've fallen behind schedule with this series of WSET Level Four posts. Fortunately, these two sessions are simple enough to deal with in one one post as they follow essentially the same format. And a very enjoyable format that is, too. Both days were delivered by external lecturers, Sally Easton MW and Richard Bampfield MW, dealing with Bordeaux / South West France / Loire, and Burgundy / Alsace respectively. Both were exceptionally brilliant wine communicators. 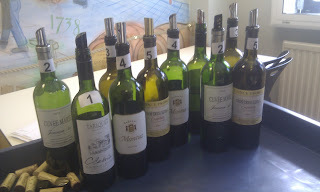 The format of the days, loosely speaking, was an overview of the markets of each particular region, a look at the influences affecting the styles of wine made there, then lots of tasting. 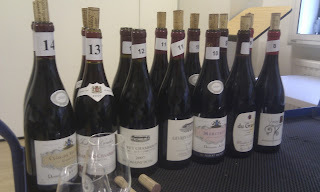 I'll say that bit again: lots of tasting. And the wines are extraordinarily good! In a perfect world (or even just a fair one), these days would be stretched over weeks, and the burden of having to operate heavy machinery left to others for the foreseeable. Sadly, I had to drive home after both sessions, but I can tell you honestly that these days involved some of the most delicious wines I have ever spat! 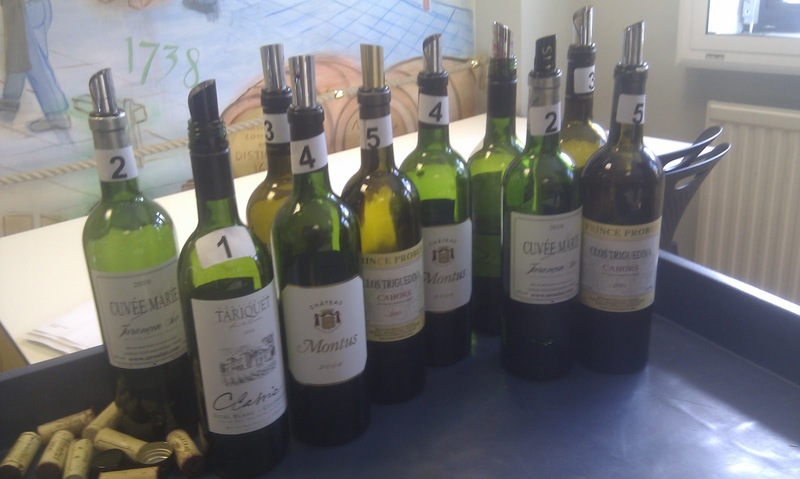 Day eight began with a blind tasting of three fortified wines as a practice for another impending exam, followed by an astonishing flight of wines which took the total for the day up to 25! What you need for the day: pens, paper, 12 glasses. Do not drink coffee in the morning (or any other time) if you want your palate to survive to the end of these days! Day Nine can be found here.